December 10, 2012 by Venky. It is that time of the year again! Time to escape with our bikes into the breezy, hazy and cold blue mountains. Time for the Tour of Nilgiris. 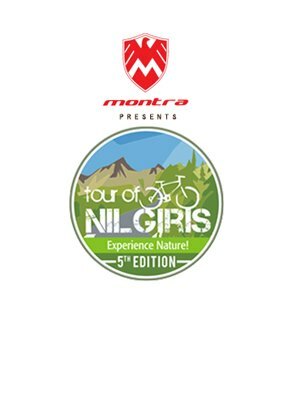 Montra Tour of Nilgiris! For those who love the tour, nothing beats the excitement of being part of it. Only the reasons for that enticing excitement could differ. It could be the lasting friendships, the incredible challenge of surviving those seemingly never-ending hills, the heady rush of the competitive sections or just the simple joy of riding through the most scenic of the routes. Those of course are only just a few. For me personally this is the tour that gave me a great deal of inspiration. Participating and more importantly training for the tour changed me and my cycling in more ways than I anticipated. I’m not complaining. I’m looking forward to being part of the tour again this year, riding and bringing the tour to you as one of the official bloggers for TFN. I’m starting out with brief previews of each day of the tour over the next few days before the tour starts next Sunday(16th Dec). This year, the tour will be flagged off at Sullivan Police Grounds a.k.a Police Hockey Grounds. Riders need to check-in at 5:30am on 16th December at the grounds. The tour will be kicked off at 7am following pre-tour breakfast starting at 6am. Just like last year, we will be taking the NICE road to get on to Kanakpura road to get to Mysore. The route is hands down winner over the other major alternative route to Mysore in terms of scenic beauty and lesser traffic. You will get to ride through beautiful roads that skirt quite a few beautiful lakes. However, expect a bumpy ride towards the last 30-35km, mostly from around Bannur. The competitive souls on the tour get their first fix in the form of a 15km individual time trial(ITT) on a flattish road just after crossing Halaguru. The initial 7km see three flyover type of inclines in the road after which the elevation goes a little southwards for a couple of kms followed by a couple of gentle humps. So, I think it would be a day for a time trial specialist rather than a climber. Last year, Mark Anderson took almost one and half minute lead over his closest rival and eventual winner Rajesh Nair in this stage in a similar terrain but in a CS which was of 23km. That lead was big enough to not only earn him the blue jersey for the day but almost win the tour too until a bad day on the saddle for him and a superb climbing effort from Rajesh decided otherwise. I lost close to 3 minutes to my close rivals and never managed to cover that entire time deficit although I ended up finishing in the top 10 over all with the help of better show in the climbing stages. So, it is going to be important for everyone nursing aspirations of over all lead in General Classification(GC) to start on the right foot with a good show in the first competitive section of the tour. If not for the last 30-35km of bumpy roads, this could be a pretty quick stage despite it being one of the longer stages. You can cool your heels in the hotel or go out visit various cool locales of Mysore. If you’re not the touristy sort of guy and 160km of flattish ride was not enough to warm you up to for the hills in the tour, you can take your bike and climb Chamundi Hills. Update(13/12/2012): Here is an interesting post about Mysore by my fellow blogger Freya. Siva Sai is riding TFN again. It will be his 4th TFN. Yes, he is the same Siva of the famous Siva’s road in Bangalore and the infamous Siva’s Regal moment of TFN-2009. You don’t know of these yet? Be sure you ask him over a Chivas Regal in one of the post ride bar sessions. 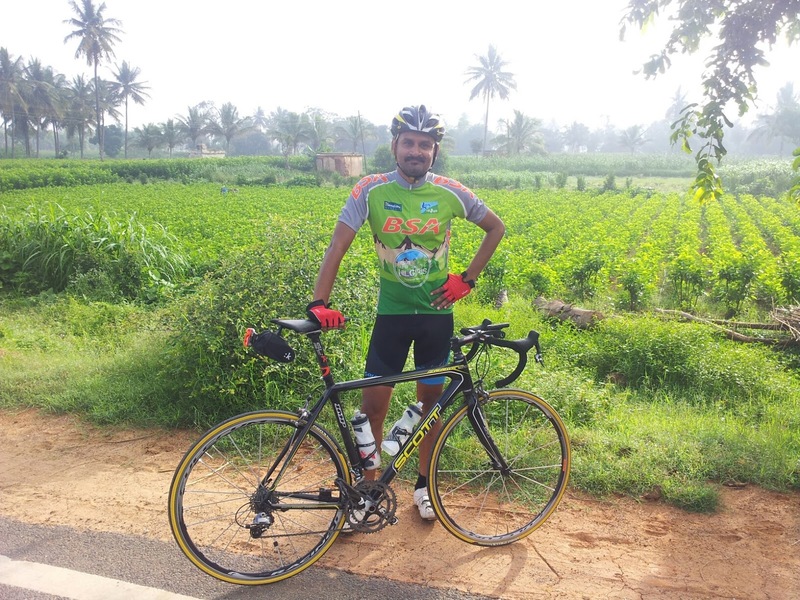 This year, he is riding as a charity rider and is looking to raise money for Milaap. To be honest, I am not too big on charity since I consider myself to be constantly in a state of needing charity for myself. But the concept of a loan to someone in need so that they can stand on their own feet is something that always appealed to me. So, I made my contribution to the cause fully knowing that it is a loan that is going to help someone make their life better and that I will still have my money come back to me having served its purpose. Tour of Niligiris Entrée is for all those who want to ride the TFN, but were either unable afford the time/weren’t sure about the ability/did not get an invite. Tour of Nilgiris Entrée is a quick 3 nights 2 day ride in the heart of Nilgiris. As is always the case, there are a few riders who have made it to the TFN this year but due to last minute changes of their work schedules or due to health issues, are not going to make it for TFN. Be sure to keep an eye out and contact the organizers for any such slots available if you want to be part of the tour even now.